Exposure to the chemicals in sealants depends upon how easily a substance can turn into gas or vapor (known as the volitility) of each substance and the physical condition of the material that contains the substance. The most intense exposures tend to occur with products that react upon installation, such as spray-applied foam and wet-applied sealants. Even though one-component spray polyurethane foam is partially reacted in the can before use, isocyanates remain and there is still a curing, or drying, time. The use of pre-polymerized urethanes in polyurethane sealant (compared to spray foams) reduces the amount of unreacted isocyanate but they still can contain more the 2 percent unreacted isocyanates. If proper ventilation isn’t in place, chemical components can migrate throughout a structure. The issue is complicated by the fact that the curing time can be influenced by humidity, temperature, application thickness and other factors. Typically MS polyether cures fastest in one day. Silicone cures within one to two days. Polyurethanes take around a week and butyl caulks take up to two weeks. Any solvent-based sealant or caulk also is flammable during its application and until it dries. Depending on the application technique, MS sealants may never dry. They are designed to get a skin over the top and then cure from outside inward which means if the sealant is too thick it may never fully dry. 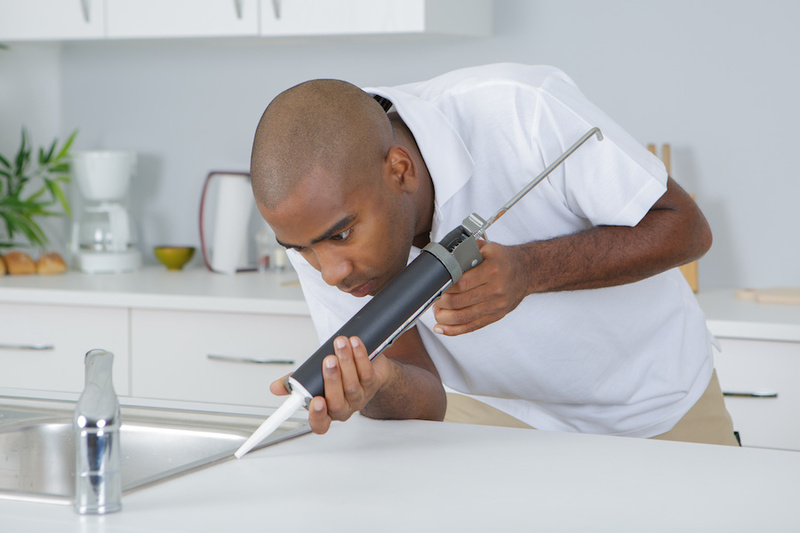 Other installation issues come from cutting or sanding materials, like caulk, which can release non-volatile hazardous substances—such as asbestos—into the air. During the service life of a product, volatile substances such as formaldehyde may continue to be released. Semivolatile substances such as phthalate plasticizers are released and become attached to dust which could be inhaled or digested. Non-volatile substances also may be released if the material is physically disturbed or degraded by mechanisms such as ultraviolet radiation. But without hazardous chemicals, these concerns wouldn’t exist. And exposure concerns are growing. The EPA has recognized that more consumers are performing their own sealing and caulking work—without the benefit of any personal protective equipment or safety training. At a minimum, gloves are needed, and sometimes a mask—especially for SPF and solvent-based items. Individual manufacturers are trying to make more sustainable and healthy products, but as a whole the industry needs to do more. Unlike other sectors of the building industry, sealant manufacturers and suppliers tend to lag behind in transparency about the content of their products. In addition to being upfront about contents, they could substitute non-halogenated flame retardants for TCPP, move faster to non-phthalate plasticizers, use substitutes for petroleum-based feedstock, try vegetable-based waxes and push for more bio-based alternatives from their suppliers.